For the full album from this leg of the Iceland trip, click here. Following my stint around Reykjavik, and a 6 day hike in Laugavegur through glaciers, cliffs, and mountains, I make my way to the Snaefellsnes peninsula. This skinny finger of land about 3 hours west of the capital offers a little of everything Iceland has to offer within one convenient peninsula. From the main bus station in Reykjavik you can catch a public bus for around $35CAD to Snaefellsnes. Fortunately, Shawn, Laura, and Maggie from the Laugavegur hike ended up going there the same day as me, and offered to drive me there. Sweet! There is one main road that circles the whole circumference of the peninsula, and it is one of the most scenic drives you will ever take. Long winding roads, ocean to the west, and mossy fields and mountains to the east. Ever present around the tip is the mountain Snaefellsjokull, where the famed novel “Journey to the Center of the Earth” by Jules Vern begins. As you drive through the highway you pass small villages or collections of houses that might pass for a town. Very quaint. Although it is possible to take a public bus or private tour around the peninsula, it is best enjoyed via private vehicle. This allows you to make as many stops as you want whenever you see interesting things. I unfortunately could not afford my own vehicle for 3 days as renting a car in Iceland costs at least $100CAD/day. FYI those vehicles must be rented in Reykjavik since there aren’t any companies here that do it. Once you’re here, there are many options for accommodations, including camping in the famed Snaefellsjokull National Park (there’s a small fee, one night limit, and no washroom/garbage/showers/rentals etc). 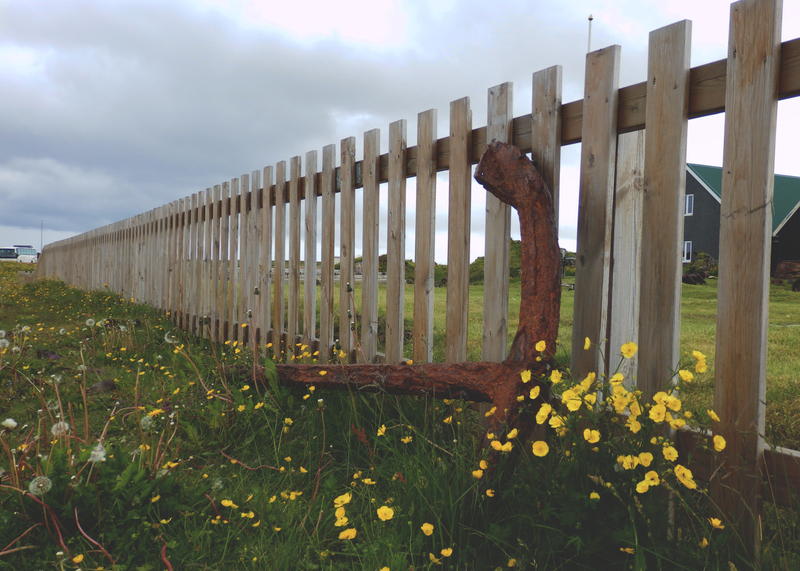 I opted to stay at the Harbour Hostel, in the relatively larger town of Stykkisholmur. The harbour area here is small but beautiful. 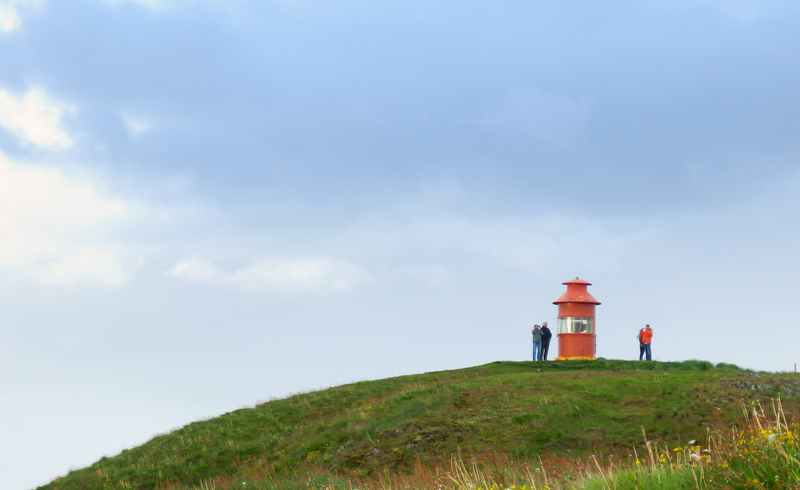 Located near the western tip of Snaefellsnes, it boasts a sizable fleet of boats, and a lookout that offers great views of the town. You might recognize this town from the movie “The Secret Life of Walter Mitty”. The scene where he takes off on a helicopter from Greenland is literally the view that you have from Harbour Hostel’s dining area. Also, when he makes initial contact in Iceland, the very unique white church in town can be seen when they pan the town before his landing. Pretty cool! As an aside, if you’re planning to stay in Harbour Hostel, you’ll be well taken care of. Everything is super clean, and its a 8 minute walk to the Bonus and liquor store. They even have a projection screen for sporting events (we watched the world cup!). 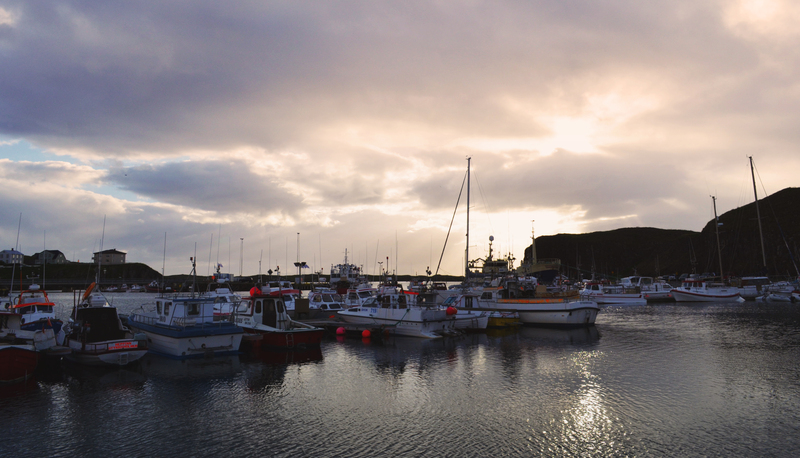 The neighbouring Breidafjordur is a great place to go whale watching and is known for its abundant, fresh seafood. Unfortunately, the restaurants here are, you guessed it, an arm and a leg. Expect to pay about $35-$60 for a meal. No thanks. I was actually reading some of the in town tour contacts that the owner gave me, and there was a local fisherman that supplied his daily catch for restaurants in town. I asked the owner if he would be able to get my some mussels from the guy. Lo and behold, he made an exception for me, and got me a huge bag of mussels and even threw in a few scallops, all for <$15CAD. I steamed the mussels in some local beer with sauteed onions and garlic. 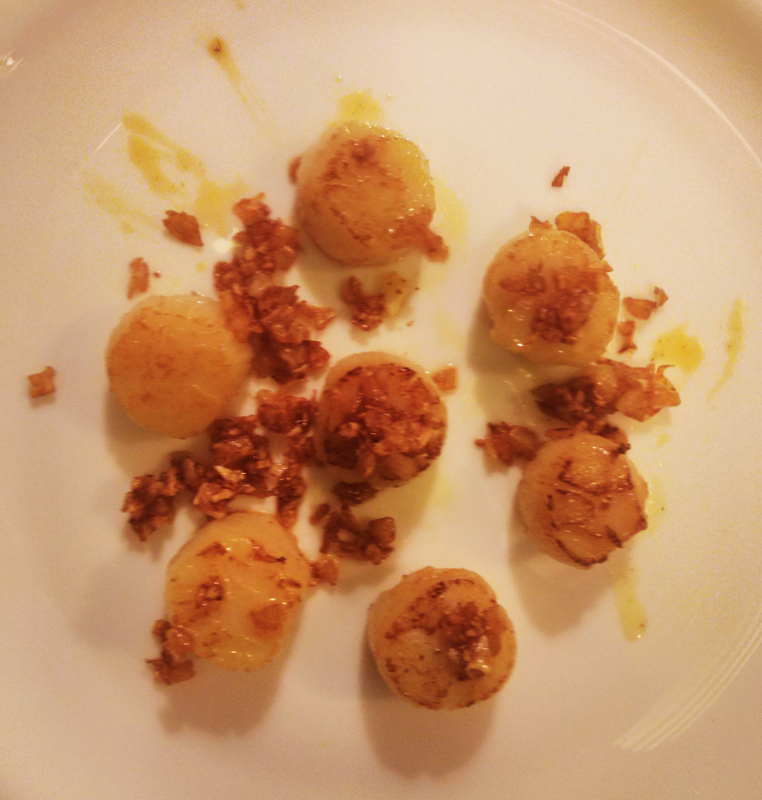 As for the scallops, I had to google how to clean them lol. Ended up doing a flash sear with crispy garlic. If you’re half decent at cooking, make sure you get your hands on some of the fresh seafood and make it yourself to save tons of money. I literally had so many mussels I shared them with a family beside me. Throughout my time here the weather was really against me (tours being cancelled due to flooding and rain. UGH!). I tried to hike Helgafell, a local mountain, but the rain just pelted down while i was walking along the highway. No good. after over an hour of walking in the rain and being soaked through, I make it back to the hostel. I find out that there is a local geothermal pool about 15 minutes away. Iceland is known for their use of geothermal energy. Being so volcanic, there are numerous hot springs around, the most popular being the Blue Lagoon. 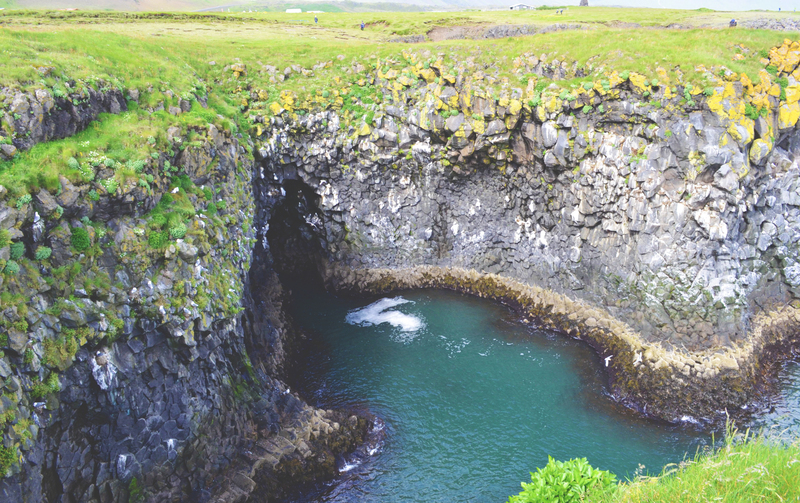 However, the culture of going to these pools is central to Icelandic life. Every local I met and talked to told me to check one out. I headed there and boy was it relaxing. It’s an outdoor pool, with heated water. Imagine grey, 10 degree weather outside, but being able to swim in a nice warm pool. The hot tub is even more amazing. Naturally high in various salts, the water here boasts healing properties for skin. Didn’t need to ask me twice. Rocky coast from the Hellnar to Arnastapi hike. Of course I wasn’t going to leave without a hike. A popular hike to do here is between Hellnar and Arnastapi. It’s relatively short (45min), but you’ll want to take your time to take in the scenery. A tour van can be arranged to drop you off and pick you up at the end. The hike takes you through a dirt path with the most interesting rock formations, high cliffs that drop off to the sea, and mossy fields spotted with boulders. Watch out for the birds though they are insane. 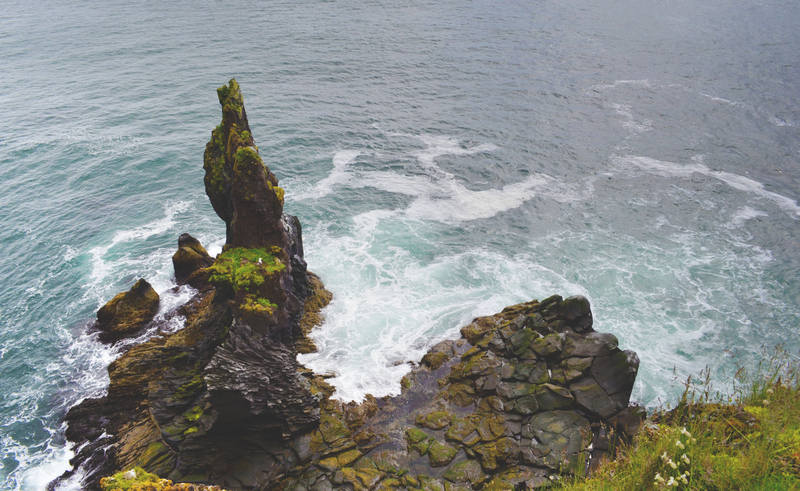 Snaefellsnes is a beautiful taste of Iceland that is relatively accessible from the capital. If you’re there for a week, its definitely worth spending a couple nights here. Just make sure you factor in the dodgy weather!